So what’s been happening so far this year? I had a deal with Peter that I would run one of my favorite races – the Transkei Ultra a 270km race along the Wild Coast – if he returned in time from the Antarctic. Fortunately he did, so I had the privilege of running the matchlessly dramatic and fabulously beautiful stretch of coast from Port St John’s to East London for the 2nd time in one year. Although I had been running regularly since Tri the Beloved Country, I had seldom if ever run more than 15km so I relied heavily on muscle memory and enthusiasm. Of course the first 2 days of the course are brutally tough and after 12-13 hours of running 2 days in a row I was nearly crippled by the start of the third day. Fortunately I recovered by the 4th day and the terrain leveled out and by the time the tick bites, sunburn and scratches had healed I had forgotten the agony and was already planning the next one! 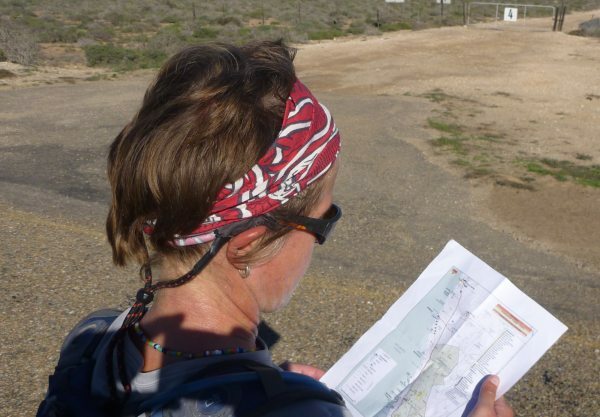 March saw us heading up to the Kalahari for the Green Kalahari Canoe Marathon. This time we were helping with organization rather than participating in the event which was not easy – especially as it was a brilliant race on a magical stretch of river. Looking forward to doing it next year. I have once again been totally astounded by the diverse beauty of our magnificent country – after getting to run every day for a week in the Kalahari, we spent some time in Hogsback and managed to fit in some beaut runs. From there, home to the Wild Coast before heading off to Bhanga Nek and Rocktail Bay nestled between the lakes and the ocean just South of Kosi Bay where I retraced my running steps from Tri – this time being more able to linger and explore. We had some wonderful snorkeling experiences with Hannah and we met a whole lot of awesome people who will probably become friends for life. Peter and I had a deal that we had to run every day until we found a fist sized cowrie shell. Sometimes that was pretty far! For now its back to the “office” (this is the year of the book and I have to be finished writing it by October) but fortunately not for long. At the end of April I am very excited to be part of a group of 17 women running 100km from Mazeppa Bay to East London over 3 days. The idea of the run is for a group of women to have a great adventure in a supportive and non-threatening environment with the focus on the journey and having fun rather than the destination. It is not a race. 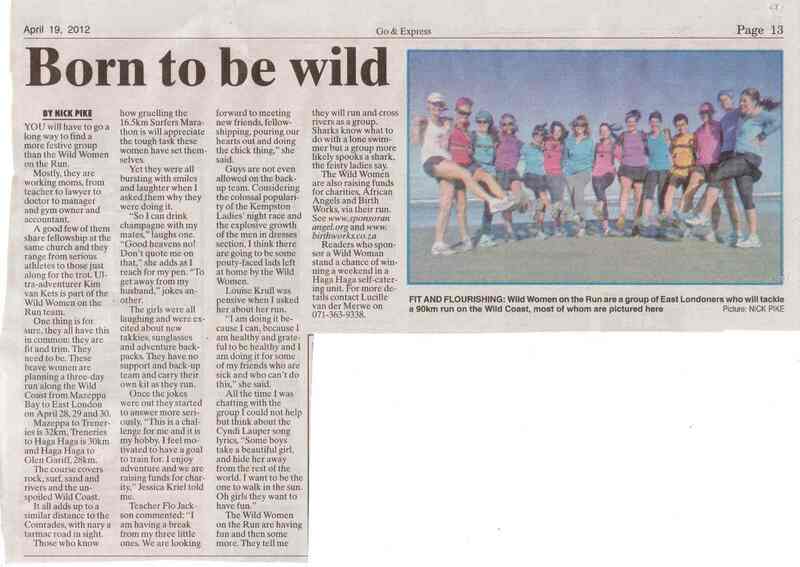 We are calling our run “Wild Women on the Run” and are raising funds for some very worthy causes. Have a look at our Wild Women facebook site for more information. I will post a detailed blog on the Wild Women Run with loads of pictures as soon as possible after the euphoria of the frolic wears off ;-).